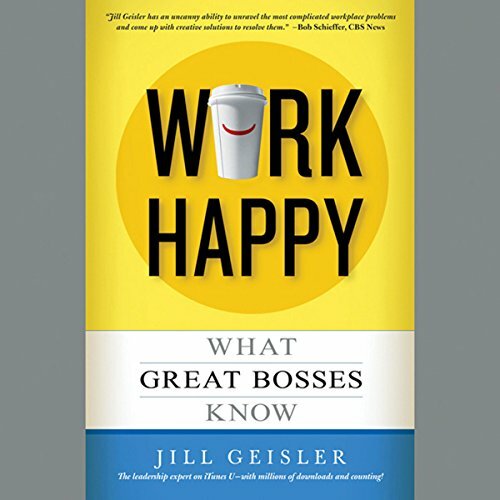 Management guru Jill Geisler has coached countless men and women who want to build their leadership skills, help employees do their best work, and make workplaces happy and successful. In Work Happy, she provides a practical, step-by-step guide, based on real-world experience, respected research, and lessons that will transform managers and their teams. It's a workshop-in-a-book, designed to produce positive, immediate and lasting results. Whether the listener is an experienced manager, a rookie boss, or an aspiring leader, Work Happy will supercharge their skills and celebrate the values that make anyone look forward to going to work. Jill Geisler offers concrete steps for improving each element of management, including collaboration, communication, conflict resolution, motivation, coaching, and feedback, so that everyone on the team - whether in the office or working offsite - can do their best. Work Happy takes management skills to the next level and proves that learning, leadership and life at work can (and should) be fun.